The Temple of Airjitzu has finally been unveiled. 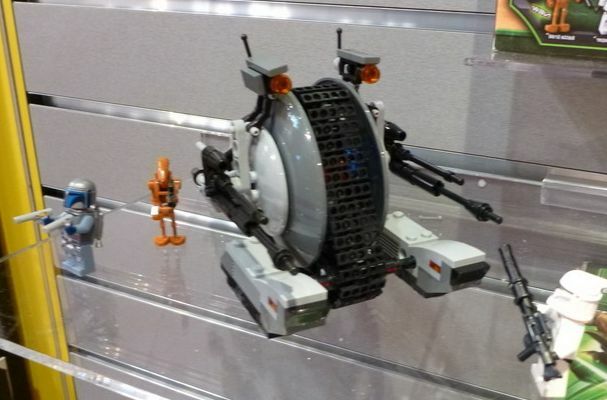 This new Ninjago masterpiece has more than two thousand pieces (!!!) 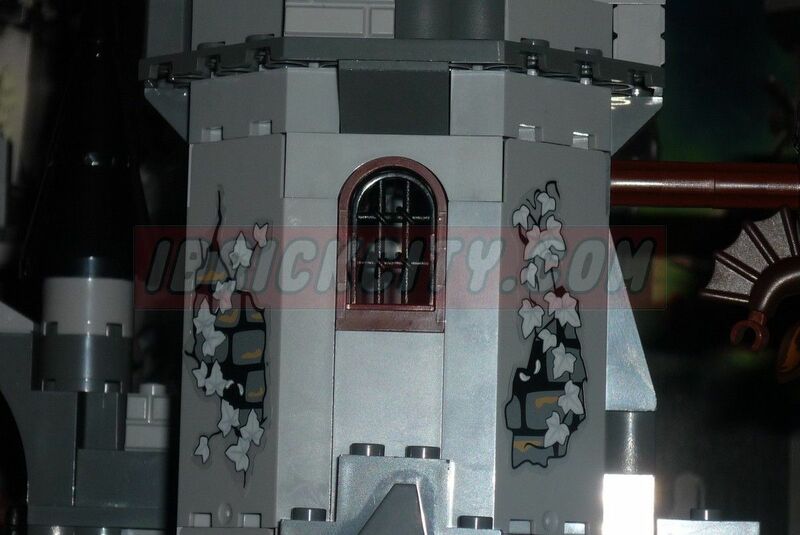 and featuresan awesome building with an endless number of details to enjoy that will include twelve mini-figures (Lloyd, Kai, Jay, Zane, Cole, Nya, Wu, Misako, Dareth, Postman, Jesper and Claire), from which three are new on the theme . 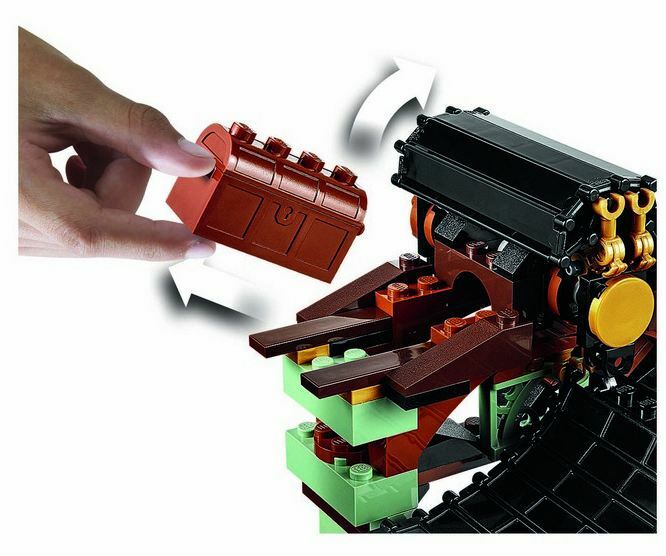 My first thoughts couldn’t be better. The Temple and the village that surrounds it, is extremely beautiful with a bunch of different colors and details and I would say that it’s almost impossible to highlight a favorite part. 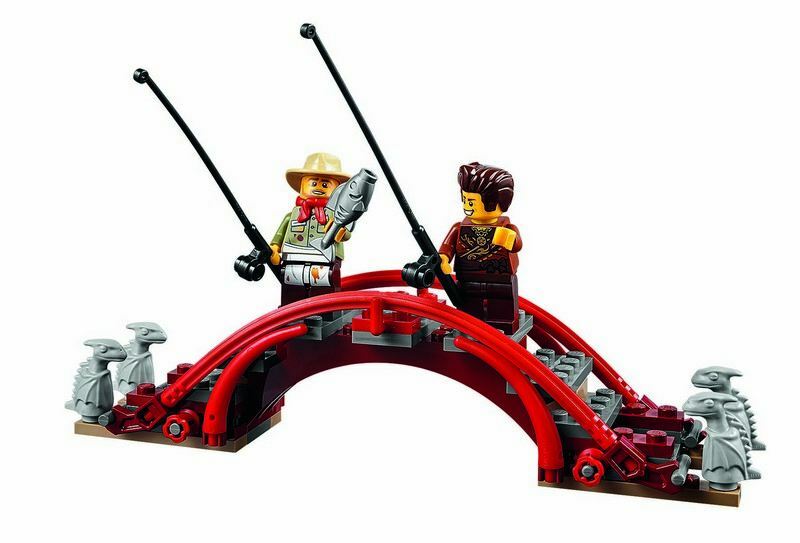 The village includes a Smugglers’ market with two hidden compartments, a Blacksmith workshop with two floors and a large bridge with two dragons on the edges that together will certainly provide an unforgettable experience in terms of building. 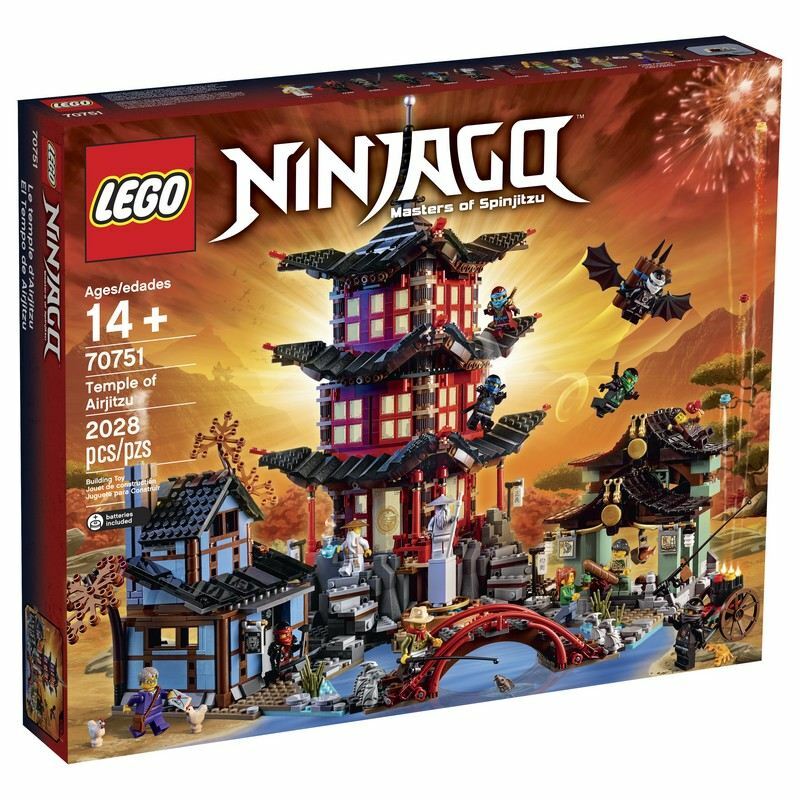 The Temple is the tallest part with three levels that include a small reception, a theatre with a light brick (I’m quite curious about this part…), a Ninja Training room and a small study. 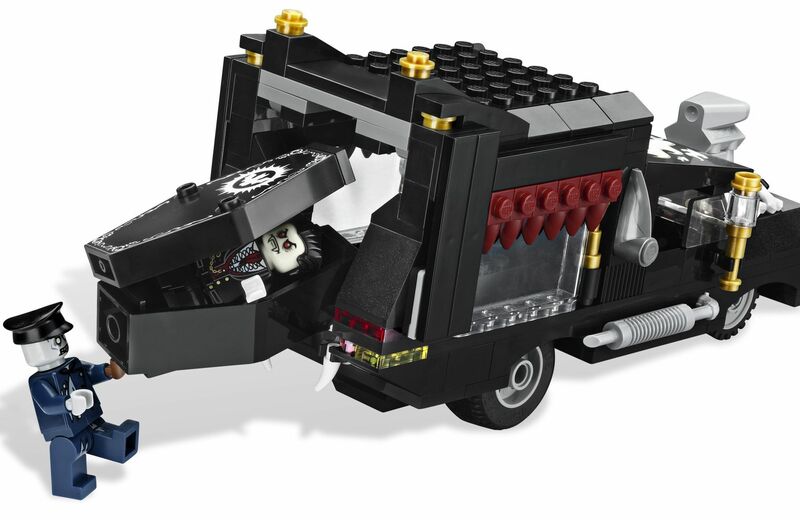 The set, that will be revealed on San Diego Comic Con, will retail around the two hundred dollars and will be available on August for VIP Members and in the beginning of September for general retail. 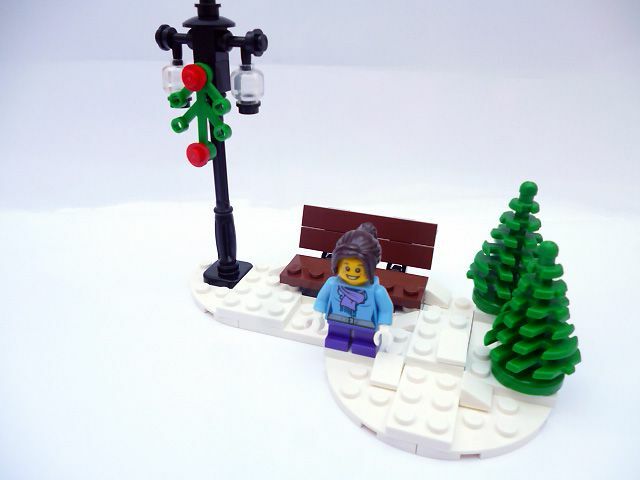 Please have a look at the extended gallery, press release and designer video! 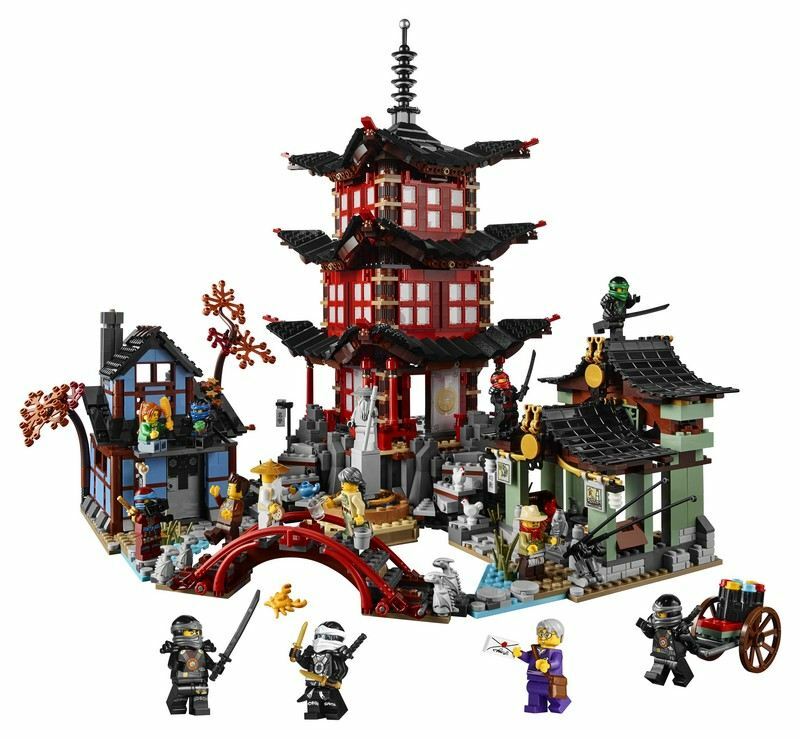 • Village features the Temple of Airjitzu, Blacksmith’s workshop and Smugglers’ Market connected by paths, steps and bridge with 2 stone-style dragons on either side, plus a statue of Sensei Yang and grass stalk elements. • Temple of Airjitzu features transparent plastic windows with new Oriental-style decoration and sliding doors, reception area with a geometric floor carpet, table, teapot and bowl, shadow theater with a light brick and spinning elements, Ninja training room with weapon holders, 2 Ninja swords, Ninja bow and a practice target, Wu’s study with 3 books and art canvas elements, and an attic with storage box for Cole’s stuff. 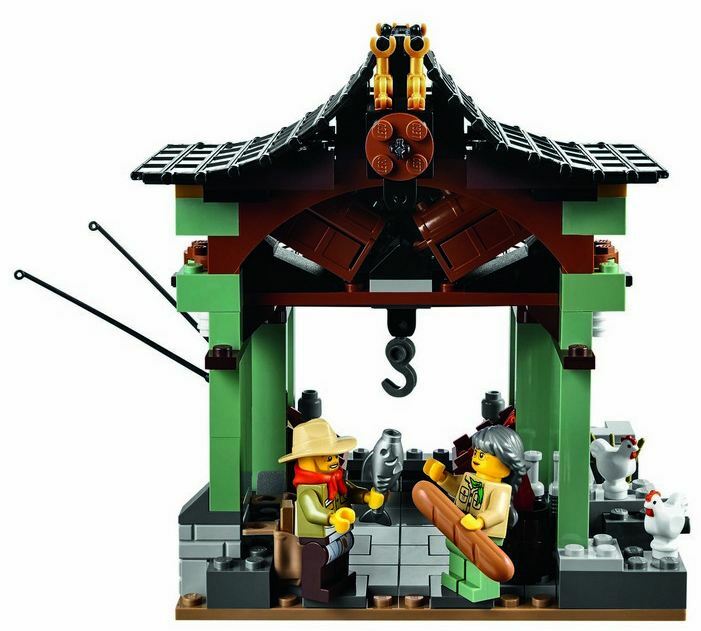 • Blacksmith’s workshop features wooden-frame-style walls, opening door, sign with anvil and hammer image, realistic interior with anvil, hammer and other assorted tool elements, upper floor with Ninja glider relic with detachable spear elements, rat element in the attic, 2 trees outside with fallen leaves on the roof and grass stalk elements. 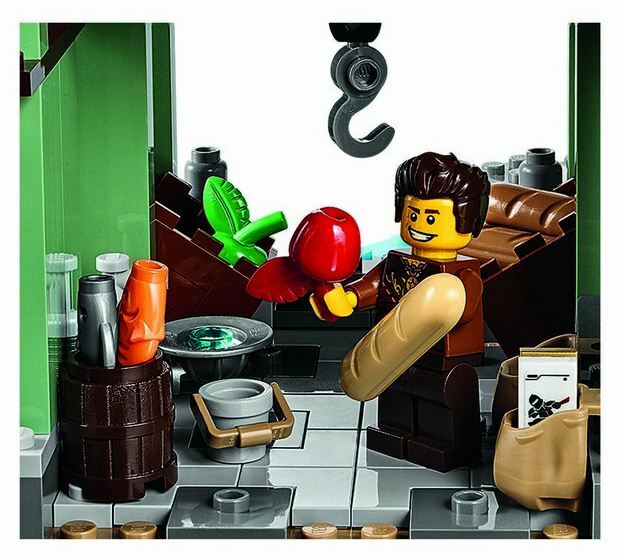 • Smugglers’ Market features curved Oriental-style roof, golden Oriental details, 2 hidden treasure chests filled with assorted golden weapon elements, sign with bread image, sign with fish image, plus assorted elements including: 2 Ninjago trading cards in a sack, barrel with 2 fish, 2 fishing rods, food and grass stalk elements. 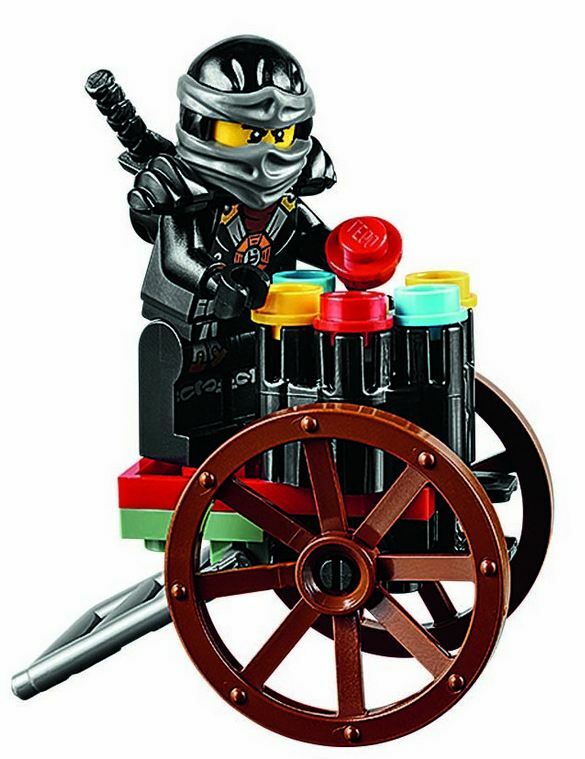 • Lloyd, Kai, Jay, Zane, Cole and Nya minifigures all come in new black Ninja outfits. 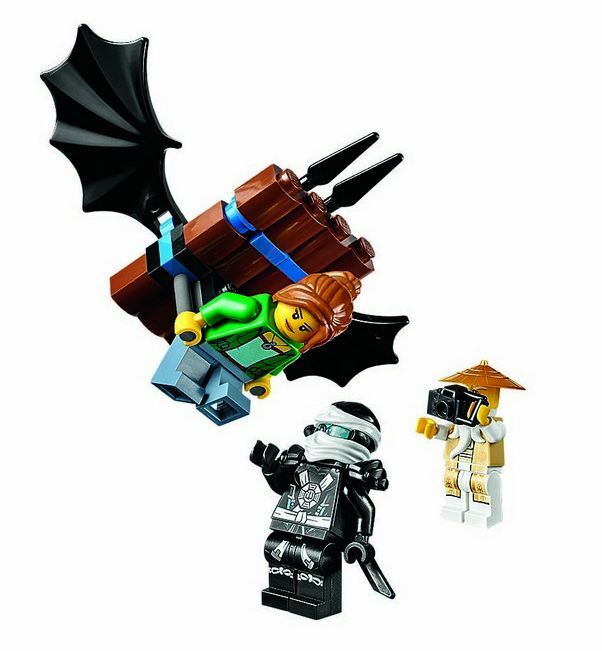 • Misako, Dareth and Postman minifigures are new to LEGO® NINJAGO™ sets. 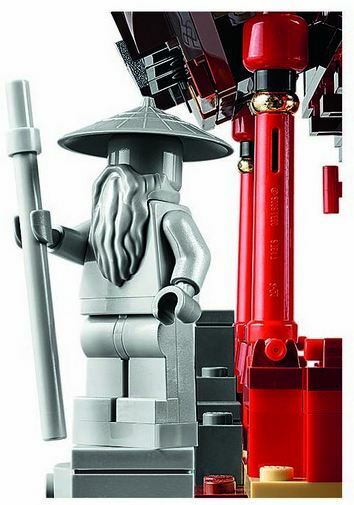 • New Wu minifigure outfit. 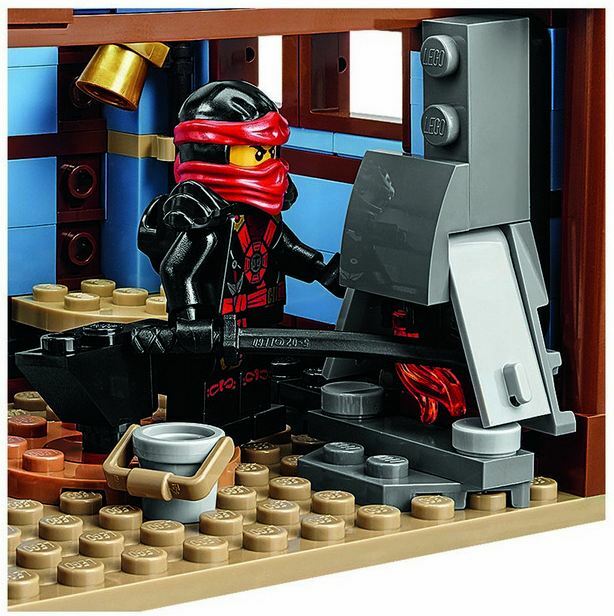 • Drink tea, train to be a Ninja and study with Wu at the Temple! • Find the Ninja glider at the Blacksmith’s workshop. • Seek hidden treasure chests at the Smugglers’ Market! • Put on a show for your friends with the illuminated spinning shadow theater! 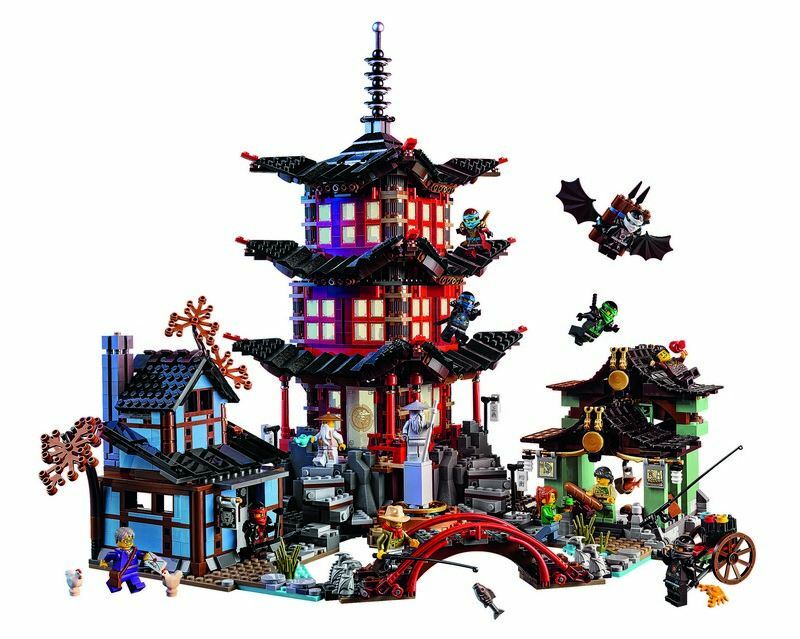 • Recreate your favorite scenes from the NINJAGO™: Masters of Spinjitzu TV show. • Village measures over 16” (42cm) high, 20” (52cm) wide and 13” (35cm) deep. • Temple of Airjitzu measures over 16” (42cm) high, 7” (19cm) wide and 7” (19cm) deep. • Blacksmith’s workshop measures over 5” (15cm) high, 5” (15cm) wide and 7” (20cm) deep. • Smugglers’ Market measures over 5” (14cm) high, 5” (14cm) wide and 7” (20cm) deep. 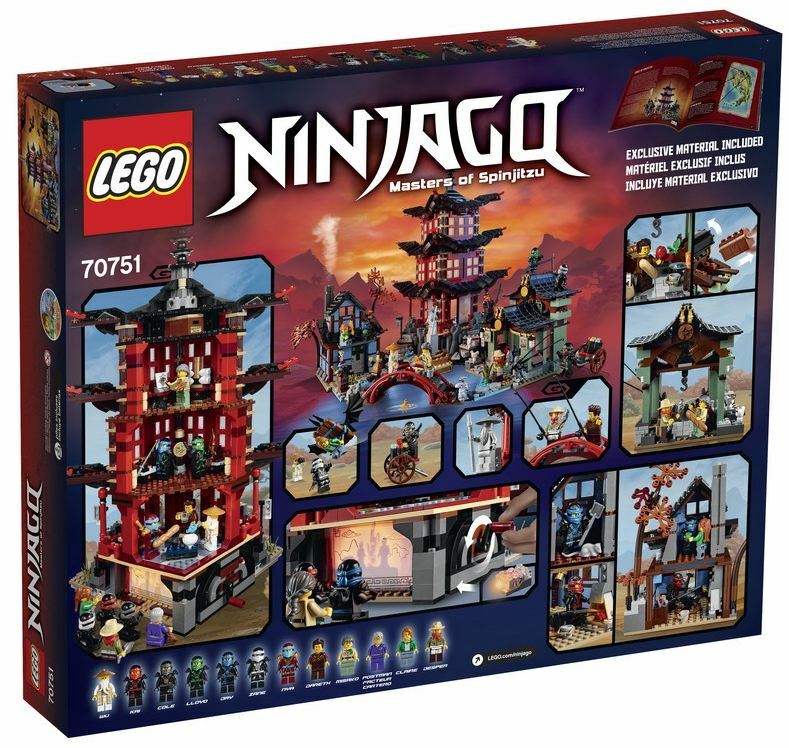 This entry was posted in Ninjago and tagged 70751, Cole, jay, temple by pedrolpais. Bookmark the permalink.